» Ecoplast Pvc free is the only plastisol printing inks that do not contains phtalates and 100% ecologically organic GOTS certified product. » Plastisol inks in Ecoplast series meet ecologic standards with all printing effects including direct, high density(3D), foam(puff), rubber. » Inks with high opacity and fastness can be used in both manual and automatic systems of printing. 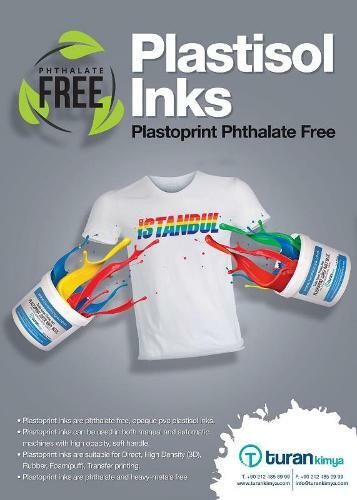 » Plastisol printing inks in Ecoplast series cover the requirements of international brands and standards like Inditex RTM, Oekotex 100 Class 1,REACH,Nike,GAP,H&M. » Plastisol inks of Ecoplast series are meeting the high ecological standards, should not be used with other plastisol or water-based products and additives.